We recognise that our students have different financial circumstances and planning how to fund both your tuition fees and your living expenses differs from person to person. Our scholarships and bursaries finder lists various options open to students in funding their study. The government offers the Postgraduate Loan Scheme which may help in providing additional funds to pay for your studies. 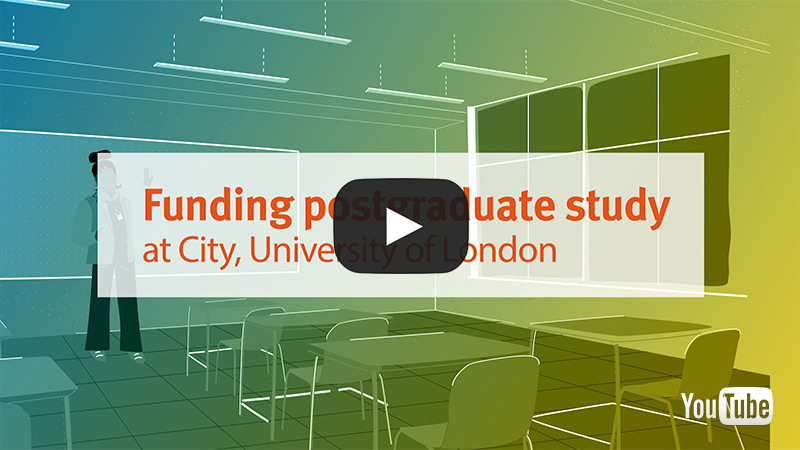 City, University of London has a dedicated Student Financial Support Team who can advise you on the various funding options available and can provide resources to help you plan for living in London, if this is new to you. Fees are usually paid in two instalments: 50% (minus the deposit) at registration and 50% in January. Fees can be paid online (as part of online registration) or by cheque or bank transfer. To pay your deposit, visit our online payment site and remember to quote your student number, which can be found at the top of your Offer email. If your fees are being paid by a sponsor, they will need to complete a Sponsorship Form (SP1). Please return the sponsorship form to the Finance Office, Northampton Square, London, EC1V 0HB before attempting to register online.